Anyone who has played the original 'Walking Dead' game by Telltale will tell you that it is one of the best, if not the best, zombie games around regarding character development and story. What was great about the game was not only its "choose your own story" formula resulting in different outcomes, but the fact that any one of the main characters could die at any second without a single notice. 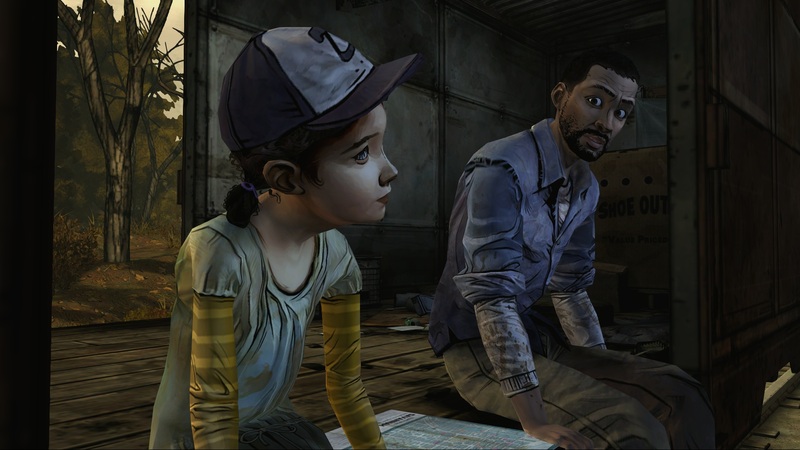 Yet, throughout it all, one character stuck with the hearts of players: Clementine-a poor little girl who lost her parents and became the unofficial adopted daughter of Lee Everett (the playable character). Without giving away any spoilers about how she ends up in her scenario, the game ends with Clementine wandering through a field, seeing just few small figures in the far distance. Her reaction goes from relief, to confusion, to fear-and sudden cut to black, leaving the player equally as confused and scared. Several months ago, Telltale released a stand-alone "chapter" called '400 Days', acting as a bridge between the two seasons, however, Telltale has since put out a trailer for the upcoming "Season" in their 'Walking Dead' saga. Check it out. Many months have passed since the events seen in Season One of The Walking Dead, and Clementine is searching for safety. But what can an ordinary child do to stay alive when the living can be just as bad -- and sometimes worse -- than the dead? As Clementine, you will be tested by situations and dilemmas that will test your morals and your instinct for survival. Your decisions and actions will change the story around you, in this sequel to 2012's Game of the Year. If you have not played the first game, you are considerably missing out on one of the most heart-breaking and entertaining stories seen in a video game in a long time. And for those of you not particularly into video games, the game is beyond user friendly. The entire game acts more like an interactive cutscene, where 80% of the game acts as an engaging and interactive movie, 10% is simple "point and click", and the remainder is reacting to quicktime events. I have never had so much fun with a game where actually playing the game is minimal. Do yourself a favor and buy the first game, then once you've finished, you will not be able to wait for the second game to come out. No release date has been announced as of yet, but you can pre-order the game and receive 10% off your digital download.